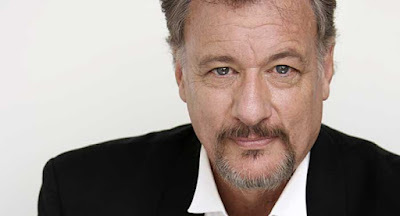 With Episode 9, STAR TREK CONTINUES adds another feather to its cap -- versatile actor, comedian, singer, director, and producer John de Lancie. Well-known to fans for his strong Trek background, de Lancie met STAR TREK CONTINUES founder Vic Mignogna on the convention circuit, and Mignogna offered him a role in the production. “Vic asked me if I’d be interested in appearing in STAR TREK CONTINUES, and he told me a little bit about the show. I asked him to let me read the script, and I was immediately impressed with it. It’s definitely classic STAR TREK, because it’s a secular moral story and one that I think is particularly poignant in our current times. I believe the material is the most important thing, and this is really good material.” Episode 9 is penned by Kipleigh Brown, who appears as Lt. Smith in the series. De Lancie said he didn’t really have any preconceptions about STAR TREK CONTINUES, since he had not seen any of the series’ episodes. He said that he was surprised and “got chills” as he walked the halls of the Enterprise. Growing up in the 1950’s, de Lancie said that he didn’t watch that much television, and in fact his parents had taken the TV away. “I had a real problem with reading, so my parents just took the TV out of the house.” De Lancie’s escape was Saturday afternoon science fiction movies at the theater. For Episode 9, de Lancie is careful not to reveal any plot details when describing his character, except to say that there are elements of the character that are revealed as the story unfolds. De Lancie came prepared for his role, just as he is for any acting assignment, and spoke his first lines on the Planet Set that had just been dressed into a lush forest environment. A frequent guest at conventions throughout the world, de Lancie had just returned from FedCon in Germany when he spoke to STAR TREK CONTINUES. Travel has certainly been on his agenda of late for another reason, since the entire de Lancie family recently returned from a big journey. “My wife was in Burma, teaching. So I went with her. Then we went to Vietnam, and then our kids joined us in Japan and the whole family took a boat trip. I was back for a couple of days, did a convention in Phoenix, and then it was off to Bonn, Germany,” for FedCon. The busy actor has another fan base, far different from those who appreciate his Trek credentials. 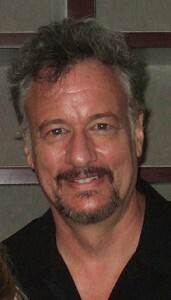 For the past six years, de Lancie has been the voice of a dragon named Discord on the cartoon series My Little Pony: Friendship is Magic. “Yes, there are conventions for My Little Pony. But it’s a very different fan base. I like particularly talking with the little kids. They have a hard time imagining that they’re looking at someone their grandfather’s age who plays a mischievous dragon. It’s also an unusual fan base, in the adult world. I did a documentary about that. I like the show very much, because it also has a sort of secular morality attached to it. You don’t need to have a religious text to be the source of a moral lesson. There are a lot of unusual people involved with My Little Pony. I talk to a lot of people in the military who just like looking at something bright, happy, and upbeat,” de Lancie says. In addition to the My Little Pony TV series, de Lancie has also voiced his character for a Pony video game. And he’s worked as a voice actor for games like World of Warcraft, StarCraft 2, and others. “While I don’t play video games, I was asked a few years ago to do voices for one. I’ve watched my kids over the years play a lot of games. I’m a big history buff, so one thing I really liked about the game Assassin’s Creed was the fun way they went back in time with very detailed representations of Florence and Constantinople. “I like the fact that doing video games keeps me current in the minds of people who are 20 years old,” he adds.